Complimentary vehicle wash and vacuum. At Curry Acura, we’re dedicated to keeping your Acura vehicle running safely and smoothly. That’s why our certified Acura service center is fully equipped with the latest in auto repair technology, not to mention staffed with certified Acura mechanics that know the Acura brand of vehicles inside and out. Whether for essential auto maintenance or an unexpected Scarsdale, New York car repair, our service center and body shop are here for you. Ready to get started? It’s easy, schedule service with us online today! If you’re looking for an auto service center that makes a point of taking care of its customers in every way possible, you’ve come to the right place. Between our convenient tire center and parts department, as well as our customer lounge, shuttle service, and free WiFi, we’ve got you covered. 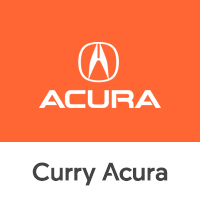 To learn more about everything we have to offer, including our full menu of auto services in Scarsdale, NY, get in contact with us at Curry Acura today. Staying up-to-date on simple car maintenance like oil changes, tire rotations, brake services, and fluid top-offs is important for the health of your vehicle doesn’t need to break the bank. Our service center offers a variety of service specials to help you to save on auto service in Scarsdale, NY. Not sure if the value of your vehicle is worth what you’re spending on auto repairs? You can value your trade and save on a reliable new or used vehicle from Curry Acura. No matter your next step, give our service center a call now and discover what we can do for you.